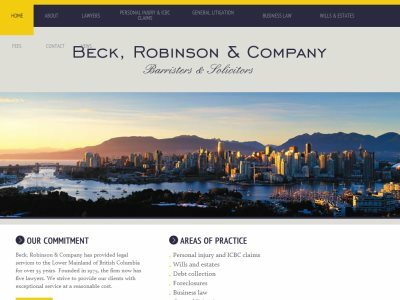 Beck, Robinson & Company is a law firm in Vancouver, British Columbia. Founded in 1975. Practice Areas: Personal injury and ICBC claims, Wills and estates, Debt collection, Foreclosures, Business law, General litigation.